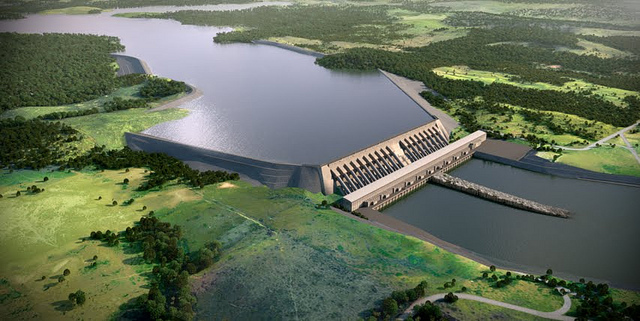 The dam, expected to produce 11,000 MW of electricity, would be the third-biggest in the world, after China's Three Gorges facility, and Brazil's Itaipu dam in the south. Brazilian activists and people affected by the project walk on the barrier of the construction site of the Belo Monte Dam project June 15, 2012. Photo: REUTER. On Tuesday, August 14, 2012, a federal court ordered that work on the dam be suspended. A federal court in Brazil on Tuesday ordered that work on the huge Belo Monte dam in the Amazon be suspended, saying native communities affected by the controversial hydroelectric project must be heard. 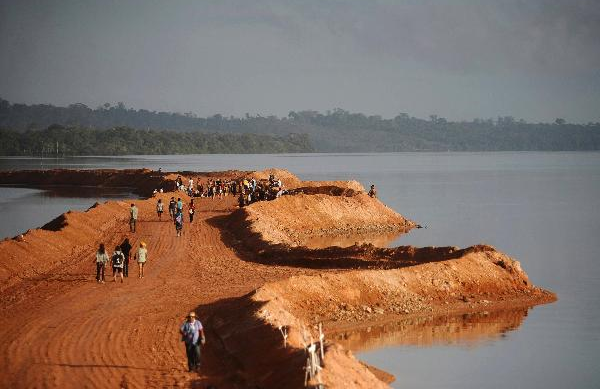 The regional federal court ruled that the construction of the dam across the Xingu River, a tributary of the Amazon, should be halted until indigenous peoples can have their say at a congressional hearing, a court official said. The dam, expected to produce 11,000 megawatts, would be the third-biggest in the world, after China's Three Gorges facility, and Brazil's Itaipu dam in the south. The Brazilian court noted that when Congress approved the project in 2005, it called for an environmental impact study after the start of the work. Under the law, the native communities were given the right to air their views in Congress on the basis of that environmental impact study, but this was not done, the court said. It said that the Norte Energia consortium in charge of the project will be able to appeal the decision to a higher court. Norte Energia told AFP it was awaiting formal notification of the court ruling before responding. The court said the consortium was liable for a daily fine of $250,000 should it flout the order. "It's a historic decision for the country and for the native communities," said Antonia Melo, coordinator of the Xingu Vivo indigenous movement. 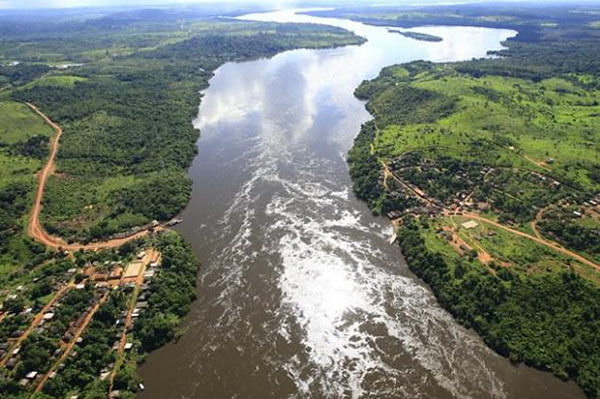 "It's a great victory which shows that Belo Monte is not a done deal. We are very happy and satisfied." By the end of the year, some 12,000 workers were scheduled to work day and night on the site, located in the northeastern state of Para, and up to 22,000 were to be at the site next year. Work on the dam began a year ago, despite fierce opposition from local people and green activists. 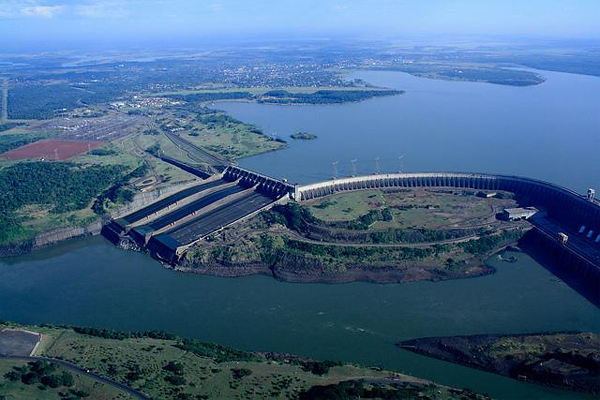 The Belo Monte dam is supposed to be the world 3rd largest dam after China's Three Gorges, and another of Brazil's Itaipu near Paraguay. 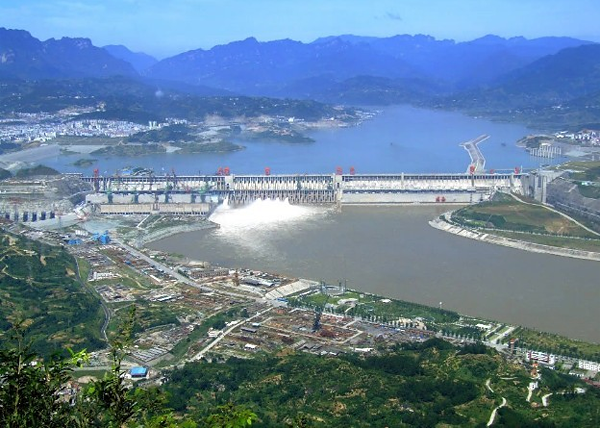 The Three Gorges dam in China is the world's largest hydroelectric facility. The total capacity is up to 22.5 gigawatts (GW), accounting for 11% of the country's total hydroelectric capacity.